Egypt’s ambassador in Addis Ababa, Mohamed Idris, stated on Wednesday that hostility between the two African countries was “eliminated” following the visit of Foreign Minister Mohamed Kamel Amr to Ethiopia earlier this week. Idris added that the visit has also succeeded in establishing a medium for constructive dialogue and means of cooperating for achieving the interest of both countries. “The other target that has been achieved from the visit is the agreement on jointly implementing the recommendations of the tripartite committee’s technical report,” said Mohamed, adding that the Ethiopian foreign minister is expected to visit Egypt soon. Amr arrived in Addis Ababa on Sunday, where he met with his Ethiopian counterpart Tedros Adhanom in an attempt to reduce diplomatic tensions over the Nile water issue. Egypt and Ethiopia engaged in a sharp exchange of words after Ethiopia began diverting the Blue Nile in order to construct its $4.2 billion hydro-electric project, dubbed the Grand Ethiopian Renaissance Dam. On Tuesday a joint statement was issued by Egypt and Ethiopia’s foreign ministers announcing that Egypt, Sudan and Ethiopia will start negotiations on recommendations by the technical committee on the Ethiopian Nile dam project. The foreign and water resources ministers of the three countries are expected to start negotiations on the political and technical aspects of Nile water division, read the statement. Egypt's subsequent 1959 deal with Sudan divided the Nile waters between the two countries, with Egypt taking 55.5 billion cubic metres of a total of 74 billion, after evaporation. This week, South Sudan signed the Cooperative Framework Agreement of the Nile Basin countries, sometimes known as the Entebbe agreement, which aims to replace these accords. Ethiopia, Rwanda, Tanzania, Uganda, Kenya and Burundi are also signatories. 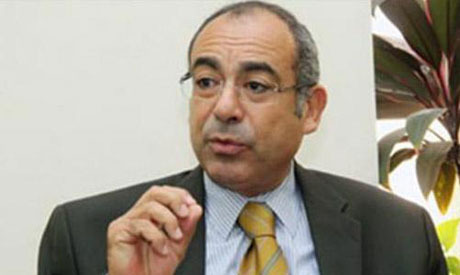 Egypt has stated its intention not to sign the accord without modifications. Nile should only be a source of cooperation . There is always a way out based on the win Win solution. If discussed Nile is more than sufficient for the riparian countries. Let's not always weight what we feel to lose , the ultimate sum of benefit should be what we have to measure . if we sit together , there is always a solution that fairly satisfy each. It seems that Egypt understood it cannot win Ethiopia through war. If it strikes the dam Ethiopia may contaminate the water making it difficut for agriculture and other use. Also Ethiopia can also bomb aswan in response which will also affect Egypt. Now the game is changed to negotiation and Egypt better support the dam financially to strengthen its relationship with Ethiopia and also pay to Ethiopia for not launching other projects on Nile. Nile is Ethiopian natural gas for which Egypt should pay for future and should have been paid in the past. I dont trust politicians and I always try to read their lips instead of what they said. The Egyptian Foreign Minister may eat his word even before arriving at Cairo Airport. The good thing is Ethiopian politicians also know the above stated fact. Good news! But there is one misunderstanding, the 1929 agreement does not include Ethiopia. Hence 86% of the Nile water had never been part of this agreement. No it didn't. In fact, the refereeing of arbiter Faruk did! The Egyptian referees who were assigned to officiate this weekend's match b/n South Africa and Ethiopia, have shown exceptional professionalism to pacify and guide in to competitive match spirit. Some folks here were hesitant of his motives as his country sent fiery words against Ethiopia. But, Egyptian referee Mr. Faruk and his colleagues were so professional in their conduct and they received a warmest admiration from the local Media and populace at large. Referee Faruk neutralized the tension b/n Ethiopia and Egypt even before Mr. Amir's arrival. Mr. Faruk demonstrated that Egypt is not all about "bad people". Instead, he pointed that there are reasonable and professionals in Egypt. Thank you Mr. Faruk!!!! Well-done! Yes I have ever seen such rational and profetional referee. The Egyptian referee did well on the football match b/n Ethiopia and South Africa.Good professionalism!! They should also sign an agreement not to engage in any subversive activities in both countries .Any violation must be considered as violation of all treaties . it is really a good news for both country's people because in this era of innovation it is worthless to engage in war which is only destruction resulting in hijacking development.am really happy with news of Egypt's ambassador to Ethiopia. let's pray together for long lasting peace. I was following the march on the radio. I was able to hear the commentatot repeatdly saying the extraordinary manner and professionalisim in which the referee managed the match. This shows that it is only senseless and selfish politicians who fuel tensions for thier own personal interests.